Over the past few years I have been progressively trimming back the weight and size of all my equipment with the aim of reducing the impact on my body so that I can keep on hiking for at least another 20-30 years. I mean why carry gear that you don’t use or don’t need? In addition by taking a long hard look at your gear you use you may find that you can turn an item of equipment into something that it wasn’t necessarily intended for. In trimming my gear back the thing that I’m not willing to sacrifice is comfort and safety. In the ultralight hiking world there is an acronym SUL which originally stood for ‘Super Ultra Light’ but can also stand for ‘Stupid Ultra Light’. Essentially what this means is that if you reduce the weight of your gear and sacrifice safety, and the bulk of the functionality, just for the sake of a few grams then you’ve gone too far. One such weight reduction that I am willing to make involves a ‘hack’, which is to use my clothing bag as a pillow. My spare clothing including my down jacket lives in a large Exped Zip Pack UL which only weights in at 40grams. I know ultralight Hikers who will do the same thing with plastic zip loc bags but these have a limited lifespan, and feel very plasticky so really need to be wrapped in a piece of clothing to be comfortable. 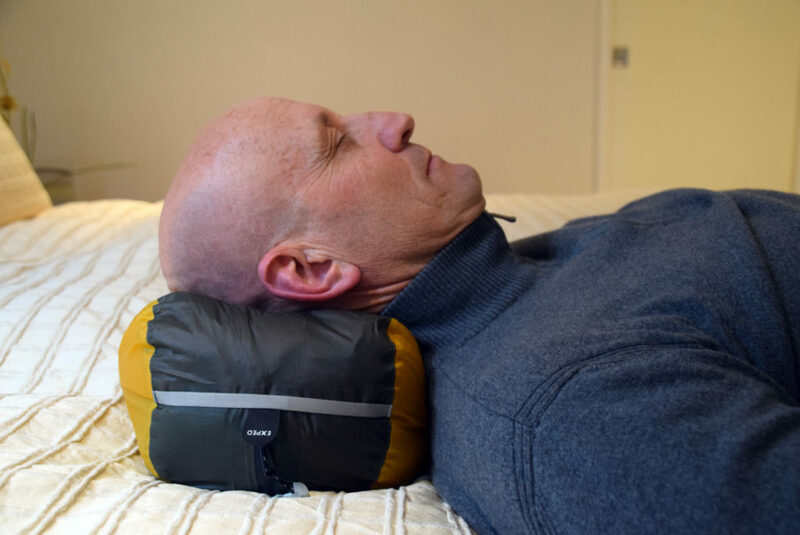 I find that the large Exped Zip Pack UL feels reasonable on my bald head and providing I don’t overstuff the bag it feels like my pillow at home, all be it much smaller. 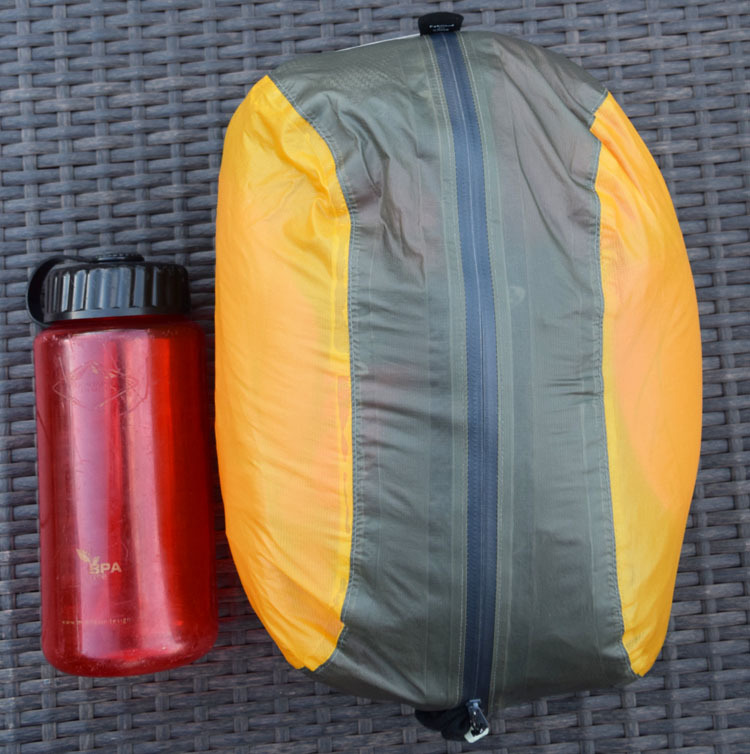 This little packing cell shown in the image for this article is nearly three years old and showing no sign of wearing out. So depending on what type of bag(if any) that you use for clothing give it a try next time you go out hiking. You never know you may be happy to loose the pillow you are carrying.